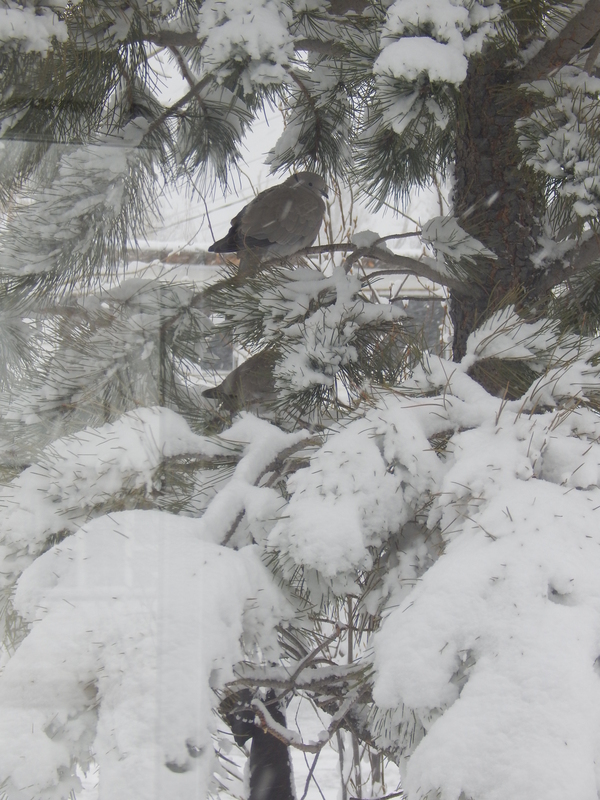 We received about five-inches of snow in town today – more in the Sangres. All so welcome given the on-going drought. At last measure, we have only 75% of the average snowpack. This afternoon the mountains are shrouded in mist. A hint of more snow to come… perhaps. NOAA predicts more snow. We’ll see. The temperature now at 4:30 is a balmy 57F. Tonight NOAA predicts a 60% chance of more snow. Call me if you know how to make this happen. Am I supposed to kill a chicken or sacrifice a local virgin? Call me now. Time is short. Meanwhile, I chide myself. I know better than to be tempted by the nurseries “Down Below” that display bedding plants long before we can plant them here. (Westcliffe is just short of 8,000 feet; Down Below always refers to Pueblo which is 4,700 or so). But like a kid in the candy store, I am keen to get started. Passing a nursery earlier this week, my fingers began to itch and my heart raced. I tried to keep the car on the road, but the steering wheel seemed to have a mind of its own. Before I knew it, there I was in the gardening center… just looking. And then moments later, I had a cart. And at that point, I lost all self-control. I’m in good company. It was Margaret Atwood who wrote, “In spring, at the end of the day, you should smell like dirt.” I love that! How short-sighted I am to buy bedding plants and fertilizer and products to reduce the amount of water needed when the average date of the last frost in Westcliffe is June 8? And that’s the average! The latest frost fell on July 2, 1997! Isn’t July normally called summer! And if you are thinking that I got carried away with the exclamation points, please consider the alarming nature of the information. 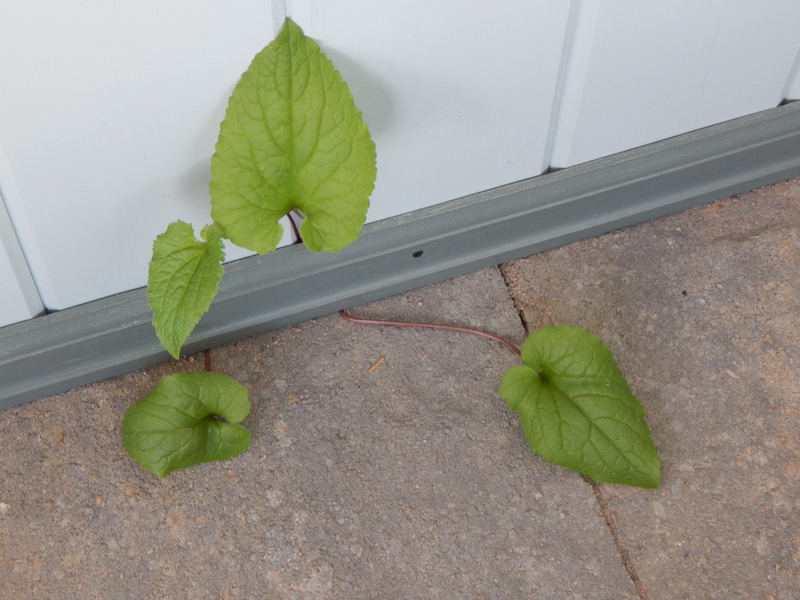 Weeks will pass before I dare to put my perennials out; meanwhile, if everyone remembers to shut the outside door, the plants safe in the airlock. Safe with the volunteers that make their way between the pavers. These volunteers always warm my heart and remind me of the adage: GROW WHERE YOU ARE PLANTED. Such a powerful thought… hackneyed, but still worth promoting especially when teaching the under-served. Just as I was celebrating the snowfall, I checked my email and found a newsletter from Penn Parmenter, actress, director, writer and know-it-all (in the best sense of the word) about high altitude gardening. You can catch her tips at http ://www.pennandcordsgarden.com. If you live in the mountains, and you want to garden, she is you contact. And she gets about. If you live in the Denver area, you can catch one of her classes at the world-famous Botanical Gardens. Find her Denver teaching schedule at http://catalog.botanicalgardens.org. 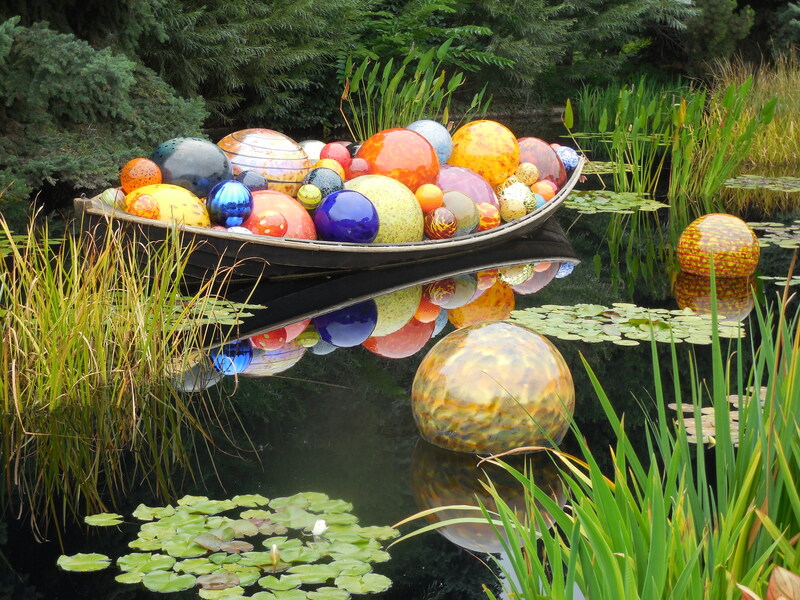 Last September, I was lucky to catch the Dale Chihuly installation at the Botanical Gardens. My regular readers will know how much I love juxtaposition which sharpens your sight. Instead of looking at one thing (‘looking’ as opposed to ‘seeing’) things in juxtaposition shock you out of your complacency You see three things. You see one thing, the other thing, and then the one against the other. You don’t just obliviously pass by; because of the startling juxtaposition, you are engaged and full of wonder. 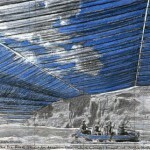 Drawing from Over the River website. 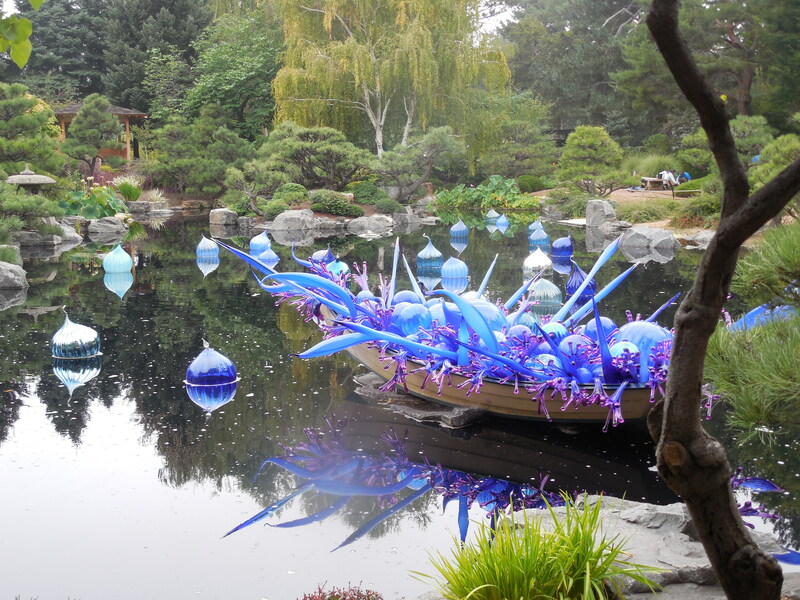 Chihuly’s glass installations planted in the Botanical Gardens blew my mind. These inanimate objects were in concert with the flowers and vegetation. 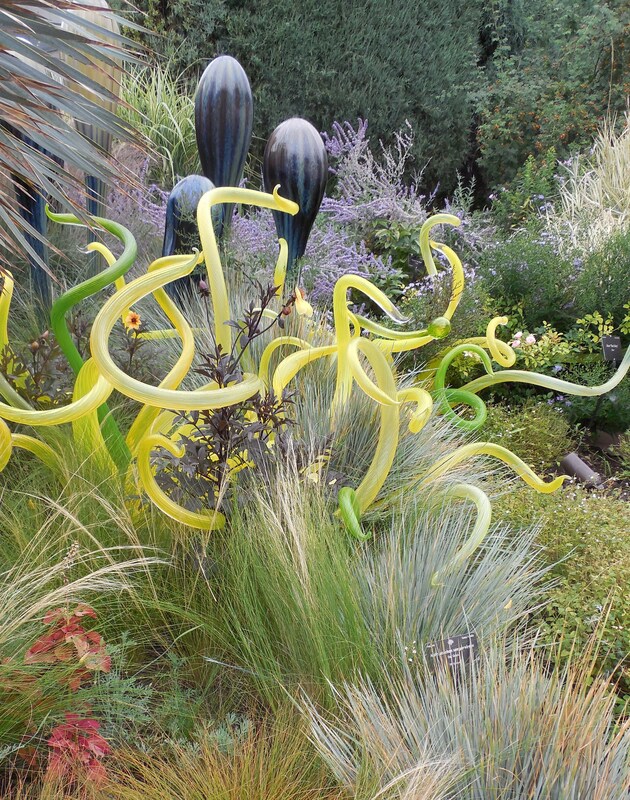 His fantastical, glass flowers blended in and enhanced the foliage that we take for granted. 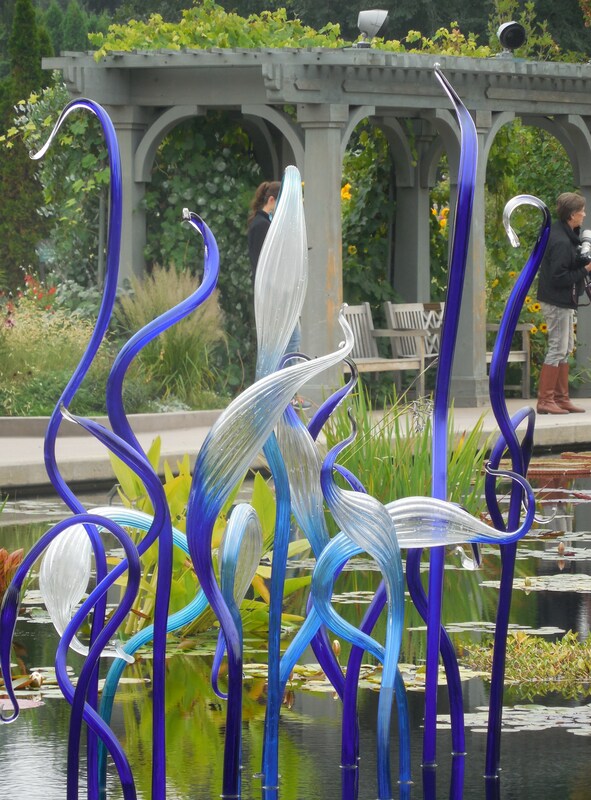 I am too old to sign on as an apprentice, but I would be willing to sweep glass shards up off Chihuly’s floor. Meanwhile, I’ll review the photos that I took last September and recapture the wonder of his art. This entry was posted in Uncategorized and tagged " Westcliffe CO, "Over the River" installation, Christo, Dale Chihuly, Denver Botanical Gardens, high altitude gardening, Margaret Atwood, Penn Parmenter. Bookmark the permalink. 7 Responses to Let It Snow! I’m with you! Over the river should be a wonderful event with a long, positive legacy. Can’t wait! And thank you, Brent, for your wonderful Letter to the Editor in this week’s TRIBUNE. 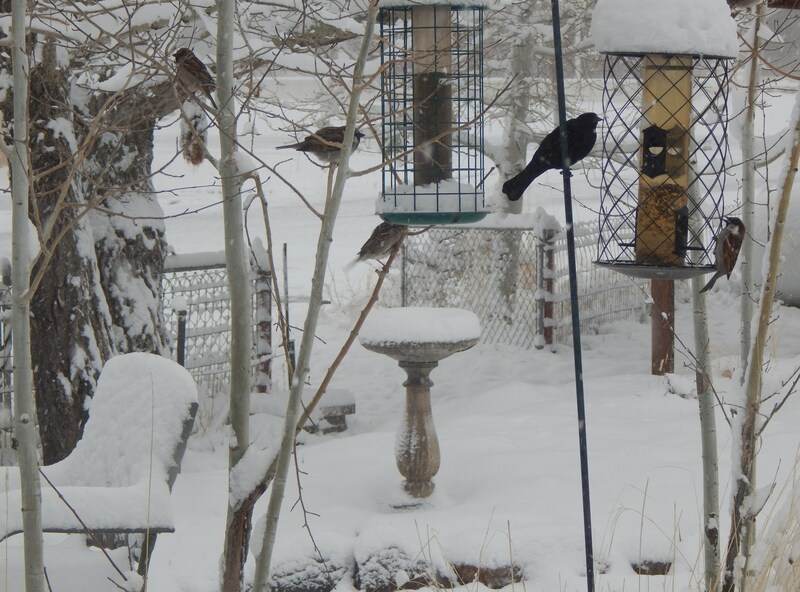 It is still sunny here but I am thrilled that Westcliffe is getting snow & I hope more! I’ll keep you posted, Monica. By the way, I forgot to congratulate Art on his excellent Letter to the Editor. I am surrounded by good writers. Love this. I’m an inpatient gardener also. Our Colorado land finally sold so I’m living vicariously through your Westcliffe news now. That snow will feed your wildflowers, I’m sure, and I’m seeing them in my mind’s eye now. Sigh. Dear Detour, I have missed reading your blogs. Busy selling your property maybe. Hope you get back on track. I too have fallen by the wayside. Too many volunteer commitments which I willingly take on and then immediately wish I had said “No!” I’m writing for others when I would rather be writing for myself.